Delacy dress. G by Guess sandals. 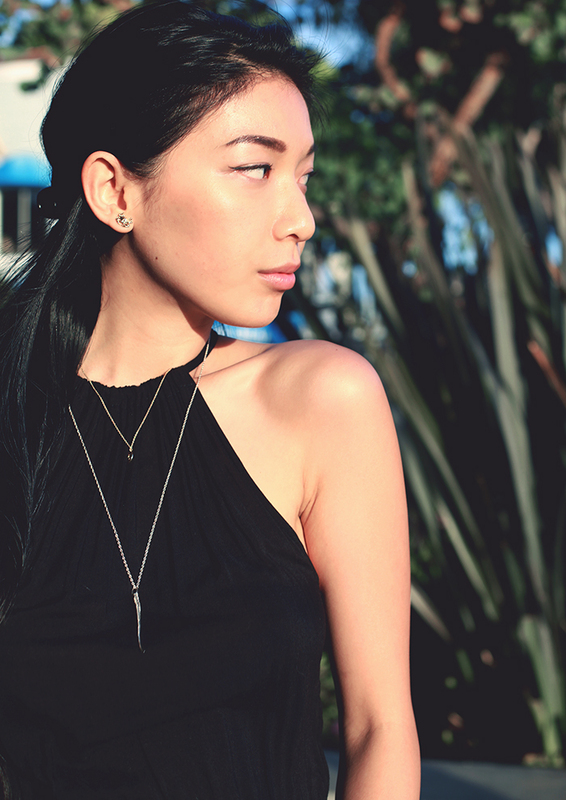 Verameat spine necklace and bone ring. Samantha Wills zodiac necklace. Chloe & Isabel earrings. In a surprising turn of effort and determination, I've been to the beach more times in the last month than I had this past summer. Laguna Beach is my most favorite beach in the world and after re-discovering my cozy little off-tourist spots, the scenic 15 minute drive is now an effortless trip to paradise. The delicate jewellery goes so well with this dress. It's just enough to add some depth but not so much it takes awash from the dress. Stunning.